Locum hourly rate payment varies widely according to the demand, length of assignment, level of experience and advance notice available. NB: These rates are intended as a guide only. Hourly rates can vary according to the location, duration and level of expertise. They are sourced from our work through www.interimlawyers.co.uk and www.ten-percent.co.uk dealing with a range of locum assignments across the UK. Lawyers identified as high earners by the BBC - surely some mistake? Recently the BBC did a study on salaries to be expected by graduates entering the different professions (http://www.bbc.co.uk/news/health-34475955) - this was in the context of analysing how much junior doctors were paid. Lawyers came out top and the BBC gave an average starting salary of £37k. This week the Law Society Gazette have given exposure to a pretty obvious press release from an investment company, Bower Cotton, who had done a far reaching study of c.100 lawyers to determine that over 40% were going to rely on property to fund their retirement. I suspect that the press release has been copied word for word into the Gazette! The article also refers to it being possible for lawyers to be 'amongst the top earners' and having a good amount to invest. Both of these are strong evidence of either a high level of ignorance or a total lack of interest in checking facts before producing articles. Quite how the BBC got to the average they did in their article is not clear. Working with hundreds of smaller sized and fairly normal/average solicitors firms gives us the awareness that the majority of lawyers will not have seen salaries similar to those quoted in the article in the first 5 years of their career. Furthermore, the vast majority of private practice solicitors are not going to be amongst the top earners. 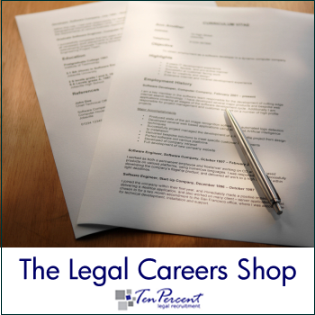 Most are more likely to be extremely average - £30-40k is the expected level of salary for most solicitors working on the high street in law firms throughout their careers. It is unclear whether many lawyers have undertaken any retirement planning at all. What do you do to gain an income on retirement if your monthly income is too low to do much more than pay the mortgage and keep the family fed and in clothes? I am not sure who has a vested interest in promoting the high salary figures, which in my experience only apply to large national law firms or London City law firms. Providers of the Legal Practice Course and the LLB? The profession generally? After all it benefits us all to have the pool of applicants as large as possible in order to keep salaries low. I look forward to the day when I read an article that starts "Revealed - most lawyers earn less than teachers and police officers - contrary to popular opinion". An elderly relative has recently died in our family and I rang the Co-operative Bank to ask them what information they required from the family in order to remove a name from a joint account. I called the main bank number and explained I was simply making an enquiry about name removal. The operative asked me for the bank account number in question and a bit more information about the deceased. I gave them this and was advised that I would be put through to the probate team who would be able to advise me. After waiting for about 5 minutes I spoke to someone I thought was in the bank's probate department who advised me that I simply needed to take a certified copy of the death certificate into a local branch or post it to head office. He then advised me that he just needed to take a few more details from me for their "Bank Notification Scheme" and that it shouldn't take more than a few minutes. I agreed to this, but suddenly remembered a letter in the Law Society Gazette some time ago from a solicitor who had experienced something similar and asked who I was speaking to. A referral presumably had occurred because I was informed that no longer was I speaking to the Cooperative Bank but instead I was communicating with the Cooperative Legal Services. This was of course the standalone Cooperative Legal Services ABS and I had been referred to it! I hung up immediately, fairly shocked that in such a delicate time the Cooperative, an organisation priding itself on its ethical approach to customers, had attempted this subterfuge on me. I really had no idea that this had happened - neither operative indicated that my query was being handed over to a separate law firm (which is in essence what the Cooperative Legal Services is) and I can only presume that after about 10 minutes of taking information from me the operative would have finally advised me that I was speaking to him about using their probate service and provided me with a quote for this. As it happened I already knew that probate was not required - the elderly relative in question had no assets - and I had not at any time been asked to consent to being transferred through the law firm or indeed asked a question about probate. It is a good example of how referrals can be made. So many marketing gurus go on and on about cross-referrals within organisations - highlighting the services of a litigation department to wealthy property purchasers with senior positions in business is but one example. The Cooperative, it appears, have taken this approach to another level... Very cynical marketing I think - well below the level one would expect from an ethical business..